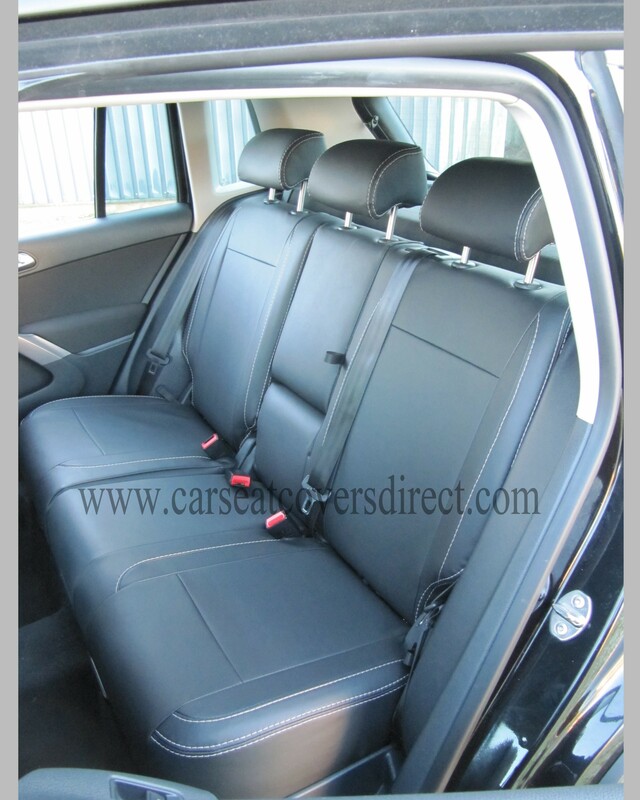 VW TIGUAN (2007-present) fully tailored car seat covers. see description below for any additional information. 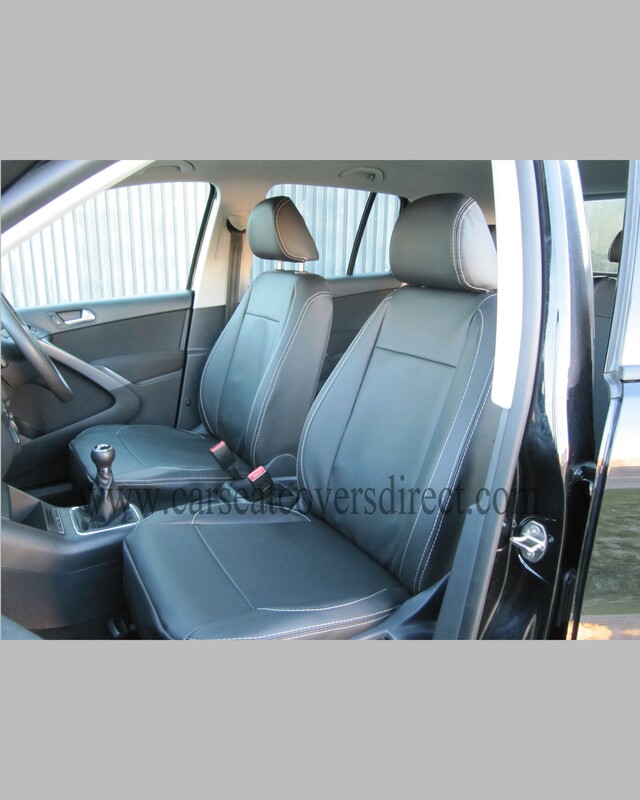 The pictures show are to give an example of the various options available for your vehicle. 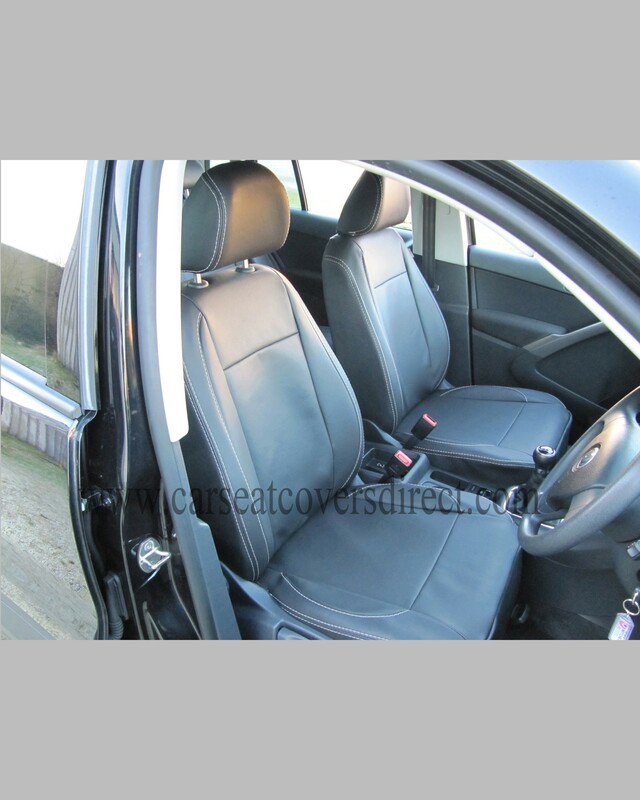 These pictures may show standard seat covers which have additional extras to highlight a range of possibilities, should you wish to choose them. 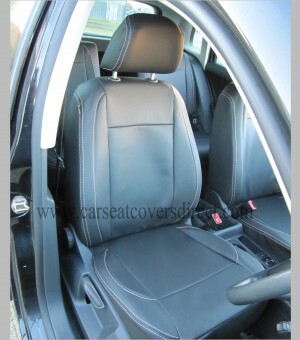 Please note the Price is for the seat covers pictured. Should you want any additional extras or you just want to design your own seat cover, you can do so by clicking on the 'design your own' tab. 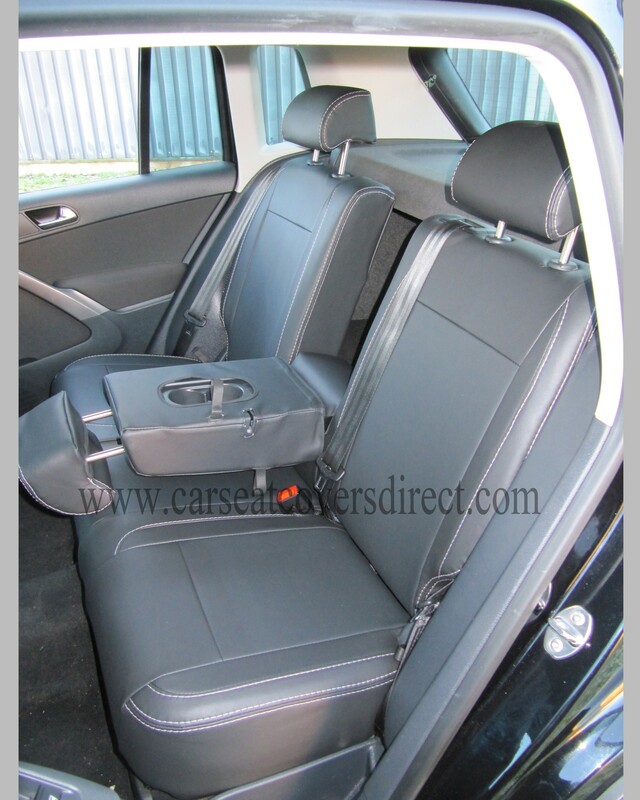 Here you will have numerous options, from choosing material and colour scheme to adding stitching and logos, helping you to create your own unique seat covers. 1. 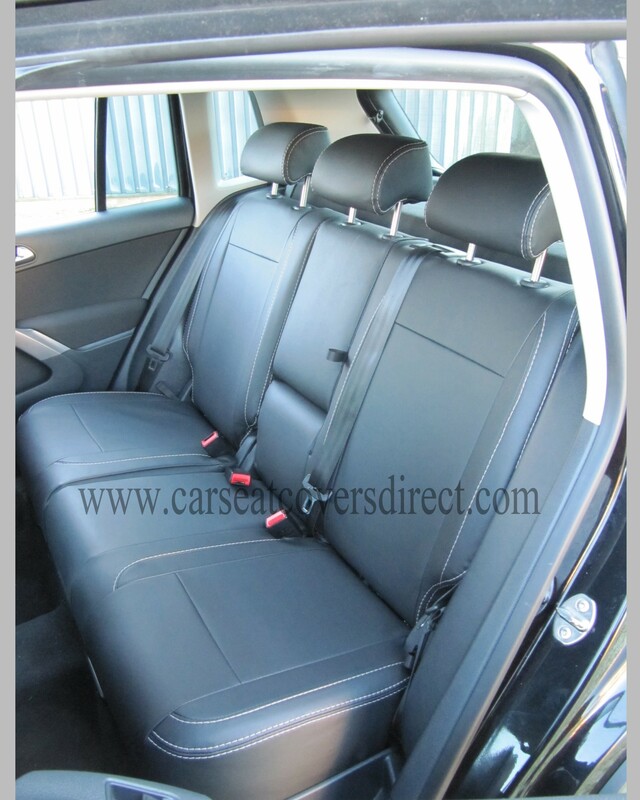 The taxi pack: all pvc on the all the seats (so they're easily cleaned) expect for the driver which gets fabric centres to stop any sweating during prolonged use.